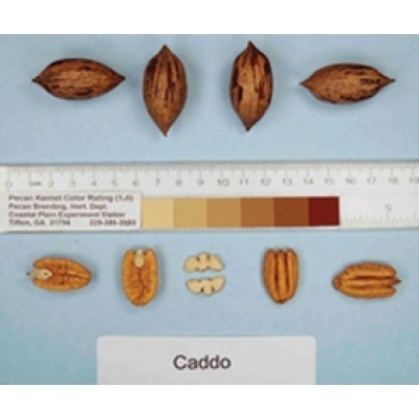 One of the most highly productive pecan varieties. Nuts are smaller in size but have excellent kernel quality. High-yield tree that reliably produces nuts from a young age until maturity. Bears well annually. Strong grower and good scab resistance.